Published today in Nature Biotechnology, the study is the first to look at unexpected DNA changes caused by CRISPR across large regions of the genome. According to the authors, previous studies were restricted to shorter regions, where the presence of unwanted mutations is not frequent. However, when looking at DNA regions farther away, the researchers found frequent and large changes in the DNA in both mouse and human cells. 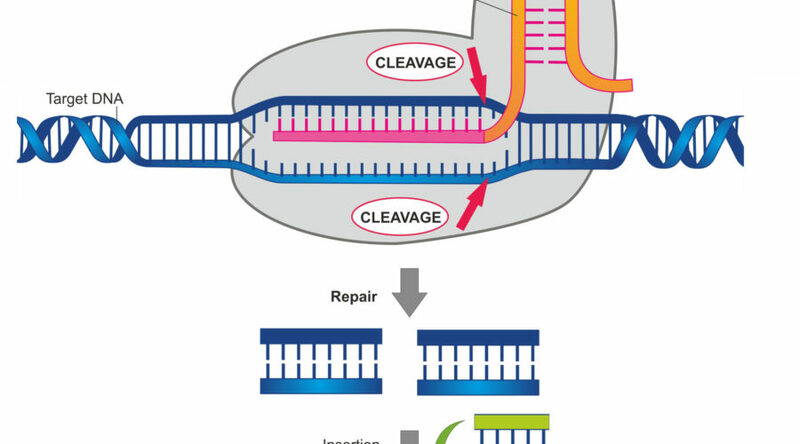 This could become a serious concern in the development of therapies based on CRISPR-Cas9 editing, with clinical trials already running in China and expected soon in Europe and the US. In the paper, the authors point out that since using CRISPR in humans would require editing billions of cells, the chances are high that some of the cells would have DNA damage in one of the hundreds of genes that are linked to cancer. As a warning, they recall one of the early clinical trials with gene therapy, in which the technology caused cancer to several patients. In order to avoid this risk, the researchers advise that before administering patients a CRISPR therapy, it will be important to check for unforeseen mutations across the genome. Current methods are not able to reveal these potentially-harmful DNA changes that are located farther away. The news comes just a month after another study, carried out at the Karolinska Institutet in Sweden, revealed that CRISPR-Cas9 editing has a tendency to favor mutations in a gene that is well-known for being involved in cancer. Although both studies covered a limited range of human cell lines and have not yet been confirmed in living models, they do convey a warning message against rushing into the clinic without fully understanding the implications of gene-editing human DNA. Companies at the forefront of developing CRISPR-Cas9 therapies are being hit by these studies, with Swiss company CRISPR Therapeutics registering a 10% drop in its stock just 10 minutes after the paper was published.